The Raptors completed their most successful NBA season and what is their reward? The toughest NBA Playoffs schedule lined with former opponents and rivals who all have gotten the best of the Raptors either this season or in past playoffs. Right out of the gate, Toronto gets to rematch the last team to take them out of the first round: the Washington Wizards. 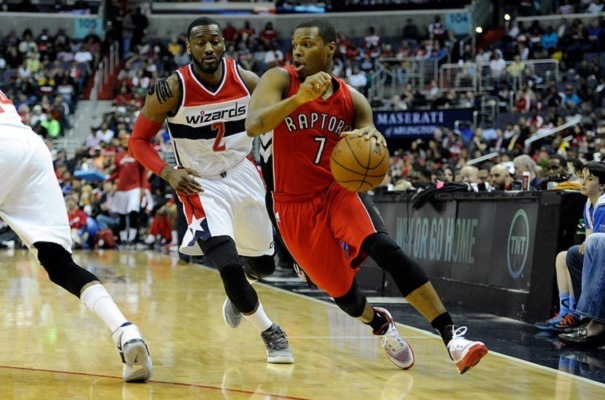 In 2015, as the 5th seed, the Wizards swept the Raptors in round one in what proved to be a turning point for both franchises. Toronto became one of the NBA's most-winningest franchises setting team records and reaching the Conference Finals while the Wizards struggled through mediocrity although they had a nice run last season. Both teams have maintained the same core since the match-up though the Raptors have improved immensely. The teams have split the season series but the Raptors are significantly better statistically ranking much higher in both offensive and defensive rating. The Wizards' starting five led by the All-Star backcourt of John Wall and Bradley Beal will give the Raptors fits but the mismatch with the bench is tremendous as Toronto's league-leading "bench mob" should win this series for Toronto. Now comes Toronto's true test. For the last two seasons, King James and his Cavaliers have easily dispatched of the Raptors in the playoffs. Toronto won two games two playoffs ago but was destroyed in the final two games. Some may even suggest Cleveland slyly positioned themselves at the four-seed to get that favourable meeting with Toronto. Toronto is 4-6 against Cleveland in the regular season in their last ten meetings. One stat stands out: they are winless against them on the road when James plays. Toronto's path to the NBA Finals run through the Quicken Loans Arena and unless they can find a way to beat the King in his own court, they'll continue running in the hamster wheel of playoff disappointment. Cleveland won the last two games against Toronto but they were both close. In their last meeting, the Cavs only won by six despite Lowry playing one of his worst games of the season thanks in part to "pulling a Vince Carter" by traveling to Villanova the night prior. History is against Toronto here but they are years wiser and have forged a stronger identity while Cleveland is at its weakest since James returned. If the Raptors are to finally slay the King, now is their most opportune moment. Overcoming the Cavaliers will feel like winning a championship but it's not over. Toronto returns to the Conference Finals to take on the winner of the Boston and Philadelphia, assuming both teams advance to the second round as their seeding suggests. Neither team is as intimidating as Cleveland but they both hold notable victories over Toronto. 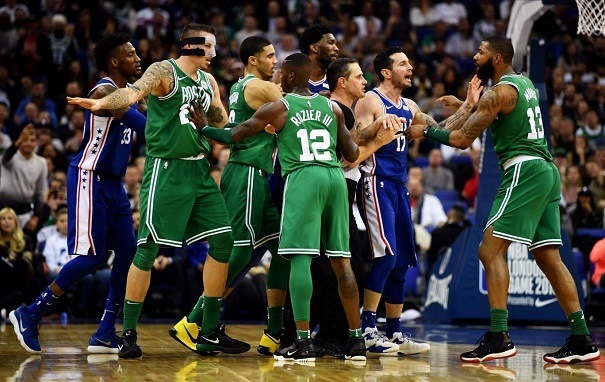 Boston is shorthanded but both of their victories came without superstar Kyrie Irving and their latest was also without sixth man Marcus Smart. The Celtics are also the top defensive team and that is worth double in the playoffs. The Sixers are an upset candidate without superstar big man Joel Embiid against Miami but should they advance, they are a young athletic team that could surprise. Rookie Ben Simmons is like a young LeBron James and they are the NBA's top rebounding team and a top-three defensive team. Toronto has more depth against either. Versus the Celtics, they have the star power in DeRozan and Lowry to outshine Boston's ragtag group of guards. Even if Irving returns, he won't be at 100% and beyond him and Terry Rozier, there's hardly anyone else. Brad Stevens is a defensive mastermind but even he can only get so far with the limited pieces he has to work with. Given Boston's injuries, Philadelphia should be favoured to advance. While the return of Embiid could pose a threat to Toronto, they are still too inexperienced and commit too many turnovers. They are also incapable of scoring with iso basketball and when the Raptors slow down the pace, they will struggle to put points. It's the best time of the season as both the NHL and NBA Playoffs get started with weeks full of games on a nightly basis. Canadians can tune in to TSN to catch the NBA games and head to these Canadian-friendly sportsbooks for betting action. Check out the reviews for more details.